Moringa grows into a slender tree with drooping branches and approximately 10m in height. Branches and stems are brittle with corky bark; leaves are feathery, pale green, compound, tripinnate, 30�60 cm long, with many small leaflets, 1�2 cm long. The flowers ar,fragrant, white or creamy-white, 2.5 cm in diameter, borne in sprays, with 5 at the top of the flower. The stamens are yellow. 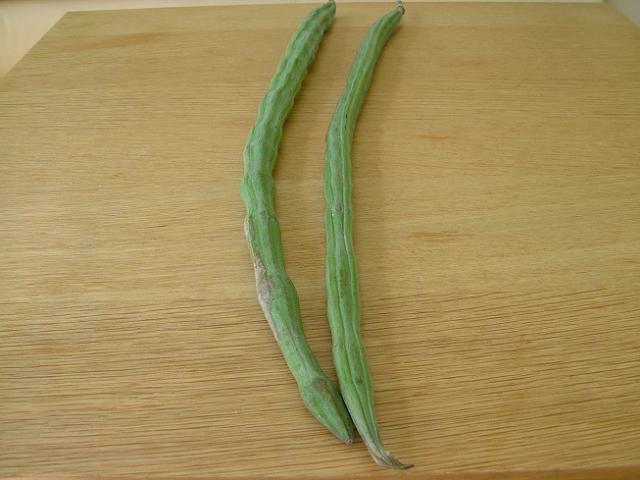 The pods are long and thin, tapered at both ends, green, 30�60 cm long and 1 cm wide and contain 10 to 20 seeds embedded in the pith. 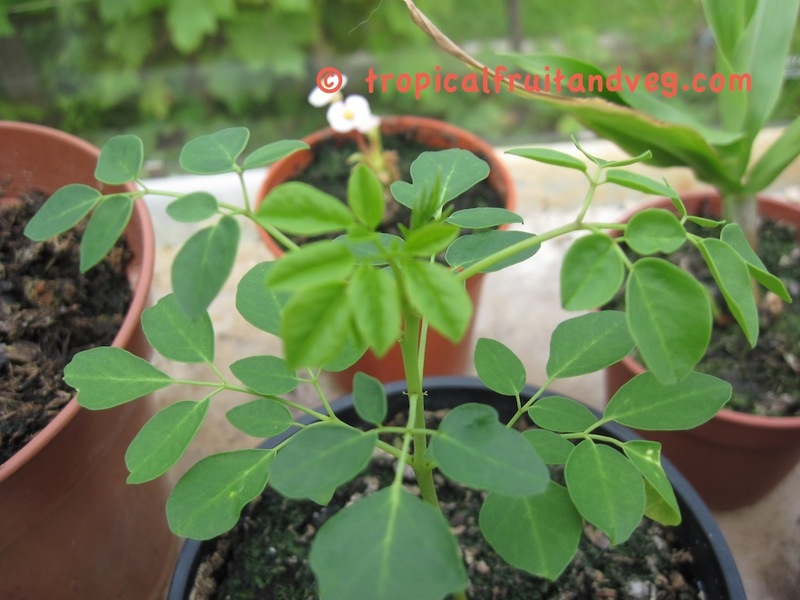 Considered one of the world�s most useful trees, as almost every part of the Moringa tree can be used for food, or has some other beneficial property. In the tropics it is used as foliage for livestock. 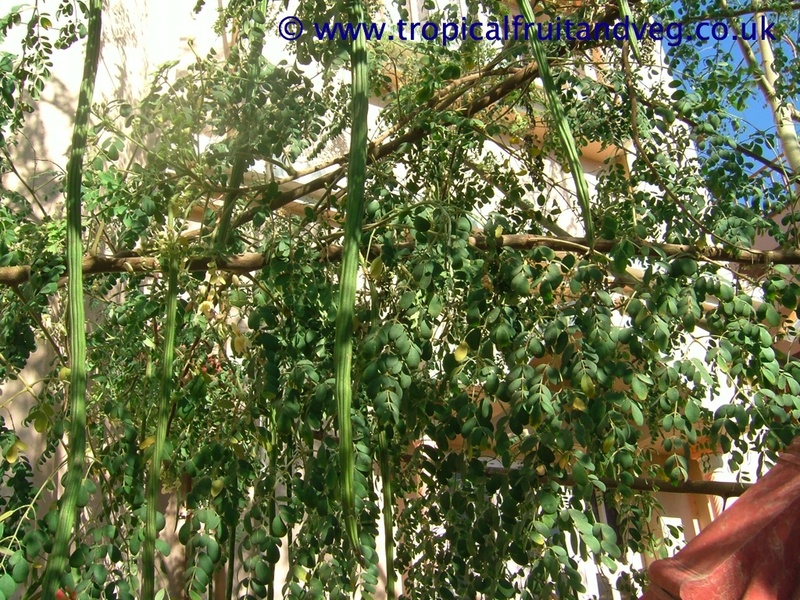 The immature green pods, called �drumsticks� are probably the most valued and widely used part of the tree, they have a slight asparagus taste. In India, they are cut into 5 to 10 cm length pieces, split in half and used in curries. 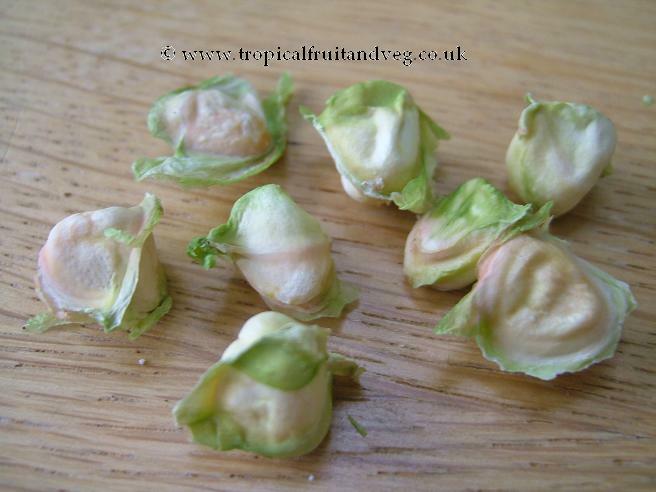 The seeds are sometimes removed from more mature pods and eaten like peas or roasted like nuts. The flowers are edible when cooked, and are said to taste like mushrooms. The roots are shredded and used as a condiment in the same way as horseradish, however it contains the alkaloid spirochin, a potentially fatal nerve paralyzing agent, so such practices should be strongly discouraged.The leaves are cooked and used as spinach. In addition to being used fresh as a substitute for spinach, its leaves are commonly dried and crushed into a powder, and used in soups and sauces. 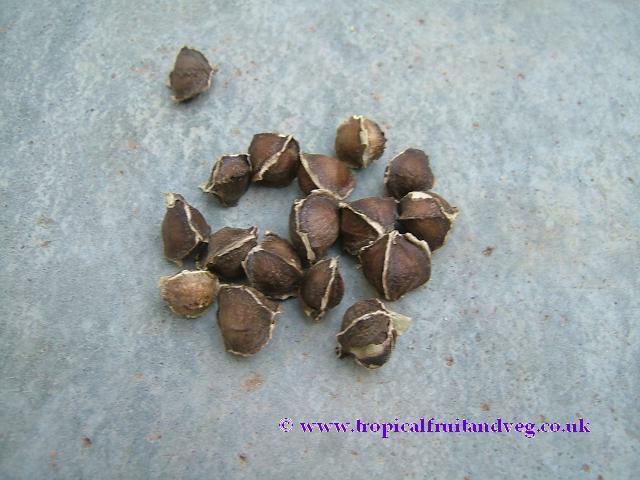 The seeds may be crushed and used as a flocculant to purify water. The moringa seeds yield 38�40% edible oil (called Ben oil, from the high concentration of behenic acid contained in the oil) that can be used in cooking, cosmetics, and lubrication. The refined oil is clear, odorless, and resists rancidity at least as well as any other botanical oil. The seed cake remaining after oil extraction may be used as a fertilizer.The bark, sap, roots, leaves, seeds, oil and flowers are used in traditional medicine in several countries. In Jamaica, the sap is used for a blue dye. The leaves are highly nutritious. Weight for weight moringa contains seven times the vitamin C found in oranges, four times the vitamin A of carrots, three times the iron of spinach, four times as much calcium as milk and three times the potassium of bananas. 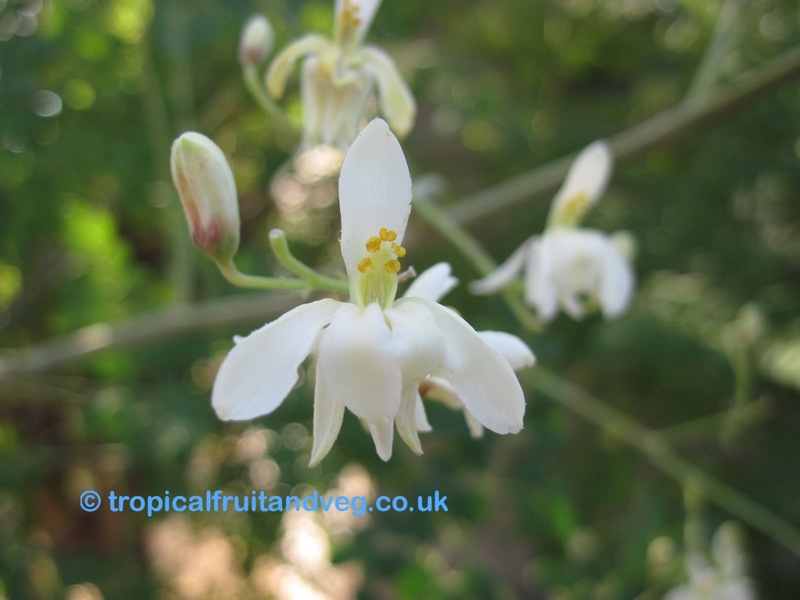 The Moringa tree grows mainly in semi-arid tropical and subtropical areas. It is a fast-growing, drought-resistant tree that apparently is native only to the southern foothills of the Himalayas. While it grows best in dry sandy soil, it tolerates poor soil, including coastal areas. Usually from seed. Soak in water for 24 hours and then sow in seed compost and keep warm (easier in a propagator if growing in UK).